2018 Rollin' with the Gnomies FINAL Photo Contest - Traffic Planning and Design, Inc. The Marsteller family took our little pal cross-country this year, all the way to Yosemite National Park in California! They took a hiking break to pose with him in front of "The Grizzly Giant", a giant sequoia in Mariposa Grove - the 25th largest giant sequoia living today. He feels lucky to have been a guest on so many amazing trips with this crew throughout the years! After a decade of traveling near and far, the east coast is where Mr. Gnome feels at home. 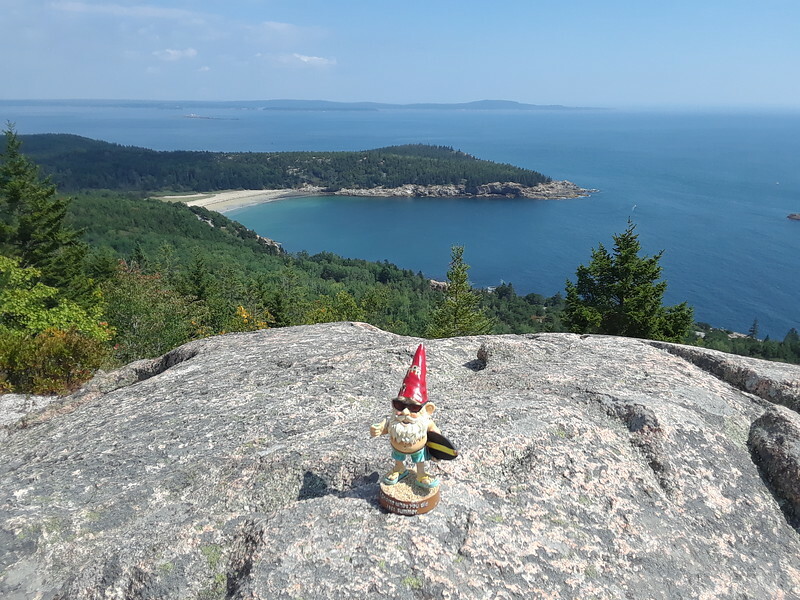 His drink is gone and he isn't left with a care in the world as he peers over the Atlantic Ocean with Walt and family on a lookout at the 47,000 acre Acadia National park in Maine. We can see it in his face, he is thinking "this is the life!"